3 Ways to Interest Girls in Science - Look! We're Learning! Tigger is a HUGE science fan. Huge. 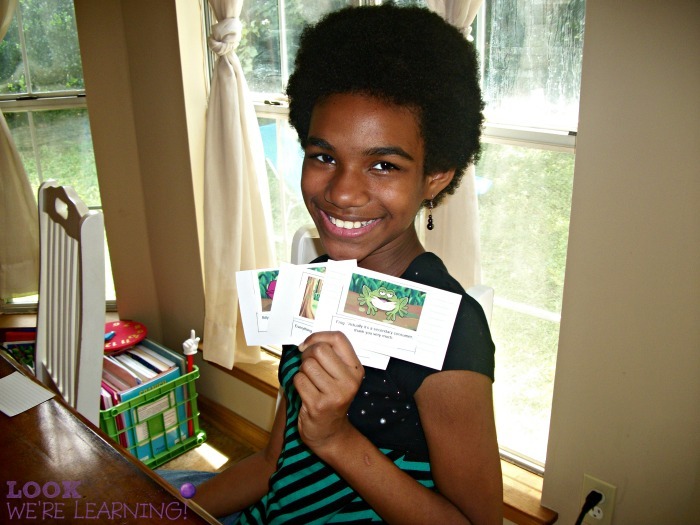 She loves learning about animals, the human body, the environment – pretty much any scientific topic you can think of. Here’s the issue for us: She has ADHD. So finding ways to hold her interest in a science lesson can be a challenge. 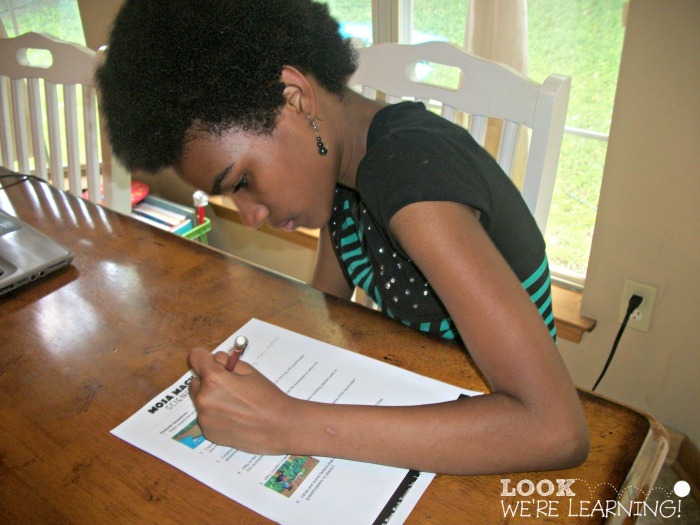 When I heard about the opportunity to try a new science program – Mosa Mack Science – I jumped at the chance! And I’m so glad I did. 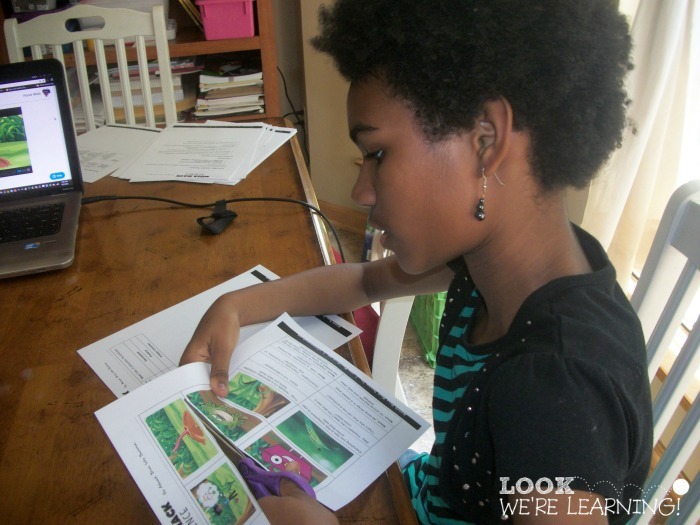 By using the program, I learned three ways to interest girls in science and they worked for us! Disclosure: I received access to this program in exchange for this review. All opinions are my own. I was definitely more interested in the humanities, as were most girls in my school. Now that the sciences have become more inclusive, I’m glad to see that more girls are pursuing STEM fields. Accessibility is one of the things I love about Mosa Mack Science. It’s extremely easy to use. All of the modules are located on the site, complete with a summary and a blurb about the specific activity students will complete during the process. I loved that because I could easily look at the summaries and help Tigger choose a topic that interested her. Naturally, I looked through the module first and printed all of the materials. It gave me a head start on planning, so I could keep her moving from activity to activity without having to wait around. Each module includes a Warm-Up – a gentle introduction to the topic at hand. Since we were covering the “Food Chains” module, our warm-up was an intro to food webs and how they are organized. After learning about food webs and getting instructions to make our own, we also had the chance to do a design project (a super tie-in to STEM)! The module also has a short, animated video that contains a scientific mystery Mosa Mack has to solve. In a separate window, you can click and find out the answer (after your kids try to think of it, of course). Female scientists were hardly even discussed when I was in school, except for Marie Curie. Most of the women I learned about were wives or mothers of famous people – wives of presidents, wives of civil rights leaders, mothers of famous singers, and so on. A major reason I wanted to review this product was because the main character, Mosa Mack, is a girl of color. Since Tigger is a young girl of color, she loved seeing someone who resembled her on the screen. When girls relate to scientists, they are far more likely to see science as a field “for them”. Further, Mosa is an excellent portrayal for young girls. She’s inquisitive, persistent, well-spoken, and extremely intelligent – everything we want our daughters to be! Finally, science lessons should be interesting! I was always bored in science class, because it mostly consisted of lectures. Mosa Mack Science, though, is much more interactive. 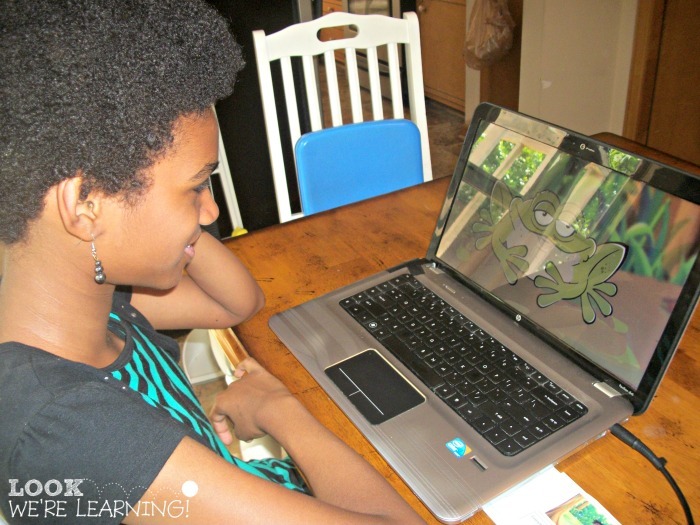 The modules also include hands-on activities that relate to the video. Tigger completed a paper review of the major points covered in the video. The handout contained still captures from the video to help her recall the pertinent scenes. Tigger also got to make vocabulary and quote flashcards using new terms she learned in the unit. In the Food Chains unit, some of her terms included “Primary Consumer”, “Decomposer”, and “Producer”. She cut out the pictures, matched them with the right quotes, and added her terms and definitions. All done! She had a blast and quickly asked me when we could do more of the units! 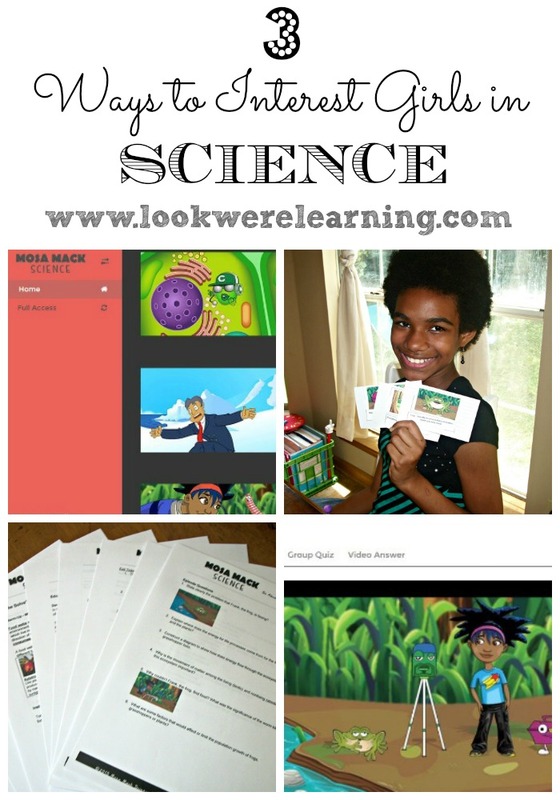 Do you have a budding girl scientist in your family? How do you help her direct her interest in the sciences? Let us know in the comments! 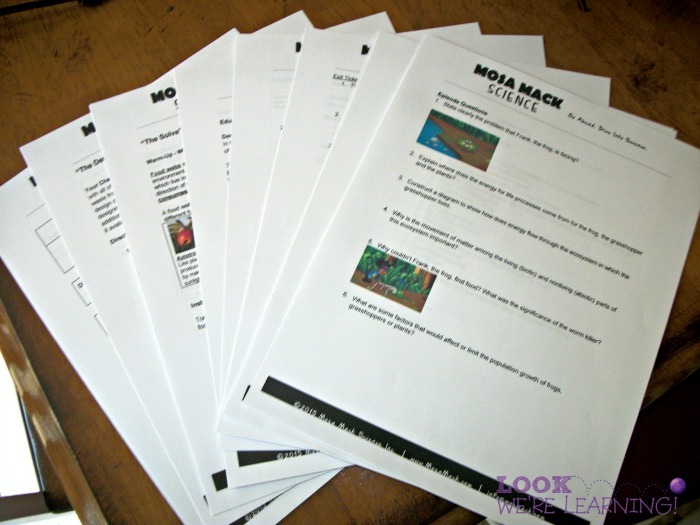 And be sure to visit Mosa Mack Science to check out the free resources and learn more about the program! I don’t have girls but my kids are very much interested in science. I think it’s important to highlight both men and women who’ve made great strides in science. I like that the product wasn’t ‘girlified’ which is a pet peeve of mine. Science should just be science, gender aside.